Did you know you could gain a Catch Up® qualification? 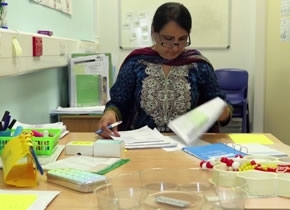 If you have attended one of the 3 half-day training courses for Catch Up® Literacy or Catch Up® Numeracy, and are delivering the intervention, then you can! Both qualifications recognise the excellent support work going on in the Catch Up® Community. If you are already delivering Catch Up® to learners, you will automatically be generating most of the evidence required – so why not go for it? Another feather in your cap! There are three units in the ‘Delivering Catch Up®’ qualification, which need to be completed and achieved in order. Each unit requires you to submit evidence of the work you have completed with learners in your setting – in either English or Welsh medium – so your submissions are likely to span two or three terms as you work with the learners. Attending the ‘Delivering Catch Up® Literacy’ or ‘Delivering Catch Up® Numeracy’ 3 half-day training course. Submitting evidence of activities carried out as part of the course. Delivering Catch Up® Literacy or Catch Up® Numeracy to 2 learners over a period of 12 weeks (a minimum of 10 individual sessions per learner). Submitting evidence of your delivery in your setting. Attending the ‘Review and Refresh’ training session (recommended). Submitting evidence of your review of your experience in delivering Catch Up®. We have devised three easy-to-use accreditation packs, which guide you through each unit, outlining what you need to submit and how. There are even ‘handy hints’ for each part, providing tips of what to include and what not to forget! These packs can be downloaded from your user account. Simply log in, using your unique username and password, click on the ‘Resources’ tab and then select ‘Accreditation’ from the left-hand menu. The three Unit packs, plus some other useful information, can be found there. Remember to complete every page within the Unit 1 pack – there are four sections! Make sure you have included two completed Catch Up observation proformas, evidencing when a colleague has observed you – these observations should be at least four weeks apart! Remember to complete every page within the Unit 3 pack – there are four sections! Each submission will go through a 12-week process. You will receive regular emails to let you know how your submission is progressing. Your evidence is assessed, and then moderated. You are then informed of the outcome – but don’t worry! If you have forgotten to include anything, or if a piece of evidence isn’t clear, the moderator will provide you with feedback and you will have an opportunity to send additional evidence to Catch Up®! Once you have successfully achieved each unit, you will receive a certificate from Gateway Qualifications. When all three units have been achieved (so you have then achieved the qualification), you will also receive an Ofqual certificate. So four certificates in all! We are really pleased that hundreds of trained Catch Up® deliverers have submitted for the qualification, and we are really keen to support more of you to do so! Remember that the Catch Up® office team are always happy to answer any queries by phone or email, so please do get in touch if you have any questions at all! We look forward to sending out many more ‘Delivering Catch Up®’ qualification certificates in the future! Visit your logged in area now and download the accreditation pack from the 'Resources' tab to get started!